Rudy Smith is a retired Photo Journalist and Editor for the Omaha World Herald. During his 45 year career Rudy has won over 50 awards for his photographic images. He served as president of the Omaha Good Fellows Foundation and four year as a board member. Mr. Smith has served as a board member for the Child Savings Institute. 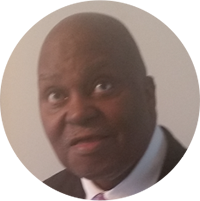 Mr. Smith was a founder for the Salem Baptist church food pantry and the pantry’s first president, a founding member of the J. C. Wade Villa Senior Retirement Center and currently serves as the board secretary, and a member of the Salem board of Deacons ministry. Mr. Smith has taught for the Department of Communications at the University Of Nebraska Omaha. Mr. Smith is on the Board of Directors for the Great Plains Black History Museum where he serves as the Board President.